How do you enjoy shooting games on Android? If I ask you to rate the genre what would be yours? Many gamers around the world enjoy shooting games. Today, I'll be revealing both online and offline shooting games on you should checkout. Some have multiplayer modes that are both online and offline. The direct download links are available for you to download and play on your Smartphones. This best shooting games ranking is solely my opinion as people could think otherwise. Feel free to rank yours using the comment session. 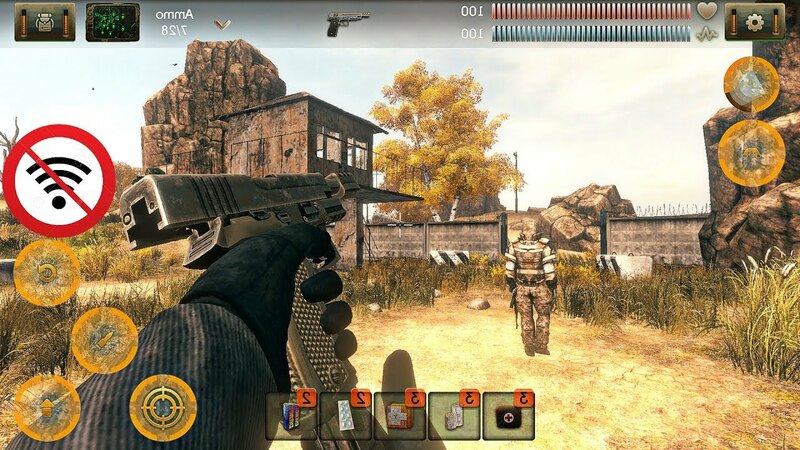 What are the Best Shooting Games Android? The games below are the top five shooting games and I suggest you try them out. Before you download, the download links, descriptions and images were sourced from Google Playstore. Therefore WE IN NO WAY claim ownership, now that you know let's proceed. Hatcom Inc. proudly presents a new fps world war army game for you. The intense graphics and catchy story line is going to make your free time more thrilling. The 3D gaming experience will take you to a whole new level of fun in this fps world war army game of 2018. You have to play the role of a commando in this game. How will you save the world from raging zombies? It's 1945 and you're an elite commando sent behind the enemy frontline. Your mission was to find and destroy a secret experimental facility hidden in the woods. Your commander briefed you on a need-to-know basis - you couldn't know that the enemy was turning dead bodies into bloodthirsty zombies.